Corporate governance is an area of key importance for students of comparative management and international business. This is particularly relevant in analyses of the post-socialist economies of the East, where both governments and enterprises have undergone major structural transformation. 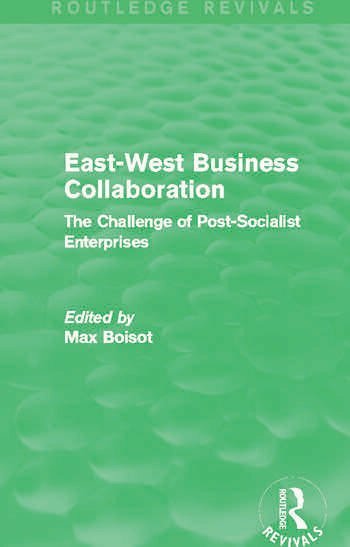 This title was first published in 1994, following the Centre for Organisational Studies’ (COS) third Round Table, which discussed East-West business collaboration in relation to the management of organizations. As a result, the edited collection is designed to provide guidance for managers, in the East and West, to the kind of governance issues they might face when working together in the post-Soviet business world. Utilizing a series of case studies, the chapters represent a genuine dialogue between managers, consultants and academics who have worked on both sides of the former ideological divide.